The North West Kent town of Edenbridge is located approximately 10 miles to the west of Tonbridge and approximately 8 miles north of East Grinstead. Access to the A22, via Lingfield, is approximately 5 miles to the west, and the A25 (Westerham), 5 miles to the north, which provides access to the A21 and M25 a further 3 miles to the east. Main line rail services are provided from Edenbridge to London Victoria with a typical journey time of approximately 55 minutes. The property is located directly off the High Street, to the east, in the centre of Edenbridge, with a wide range of retail and leisure amenities close by. The property comprise the former Edenbridge Library, on a self-contained site, originally a 19tn century Grade II listed school to the St Peter`s and St Paul`s Church, which is next door. The property has been subject to a comprehensive conversion to its current use as a children`s day nursery. This has involved the installation of a mezzanine floor in the central part of the building. The ground floor comprises two large open plan play areas either side of a large hallway / lobby. In addition there is a separate kitchen; WC block, an offices, two separate WCs; and boiler room. 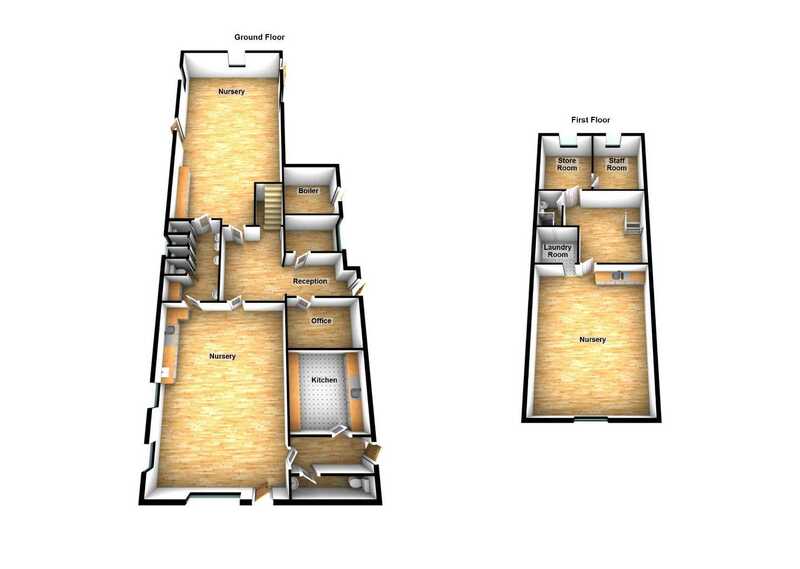 On the first floor there is a further open plan play area: laundry room, WC; and two separate staff rooms. Currently there is a good sized enclosed outside play area which could increase the existing parking provision of 8 cars. A new lease on a full repairing and insuring basis is available by arrangement. Described as “Day Nursery & Premises” with a rateable value of £25,750. Subject to contract, receipt of references & accounts.